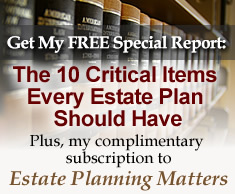 Wills of the Famous: Estate Planning Mistakes to Avoid | The Levin Law Firm - Philip Levin, Esq. We have included some Famous Wills here because I believe they provide us with insight into our own history and the lives of these rich and famous people. These Famous Wills also provide us with a better understanding about the types of Wills that people have created over the years, and most importantly, the mistakes which The Levin Law Firm can help you and your family to avoid. Links below will take you to the related article at http://www.livingtrustnetwork.com and will open in a new window. The leader of the Grateful Dead died on August 9, 1995. His estate is still open over twelve years after his death. This is a PDF of “The King of Pop”‘s last Will and Testament. not survive him and he had no surviving children, his Will gave his property to the children of his sister, Caroline Kennedy Schlossberg, and a trust he established in 1983. His estate is estimated to be worth around a $100 million.